Onboard new vendors in record time. When your vendor community utilizes the SPS Commerce platform, you’ll get visibility into order fulfillment, vendor performance and product information. Discover the smarter way to work with vendors. Get EDI compliance plus complete visibility into order and shipment status, real-time audits and built-in collaboration tools. SPS offers fast implementation and low pricing. This is EDI, reimagined. With a ChannelApe integration you can execute actions based on a schedule. SPS is the industry leader because they do EDI differently. Onboard new vendors in record time. 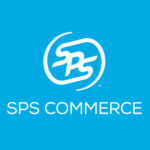 When your vendor community utilizes the SPS Commerce platform, you’ll get visibility into order fulfillment, vendor performance and product information. Discover the smarter way to work with vendors. Get EDI compliance plus complete visibility into order and shipment status, real-time audits and built-in collaboration tools. SPS offers fast implementation and low pricing. This is EDI, reimagined.